Treading Art has been putting together an amazing list of weekend events around Pittsburgh. Each week we will highlight one of those events here on IheartPGH and link you back over to Treading Art’s weekly events post. For an after work treat enjoy live music, learn a thing or two about the chemistry of winemaking (while enjoying a glass) or get a lesson on creating mozzarella in the Science Center’s Kitchen Theatre. 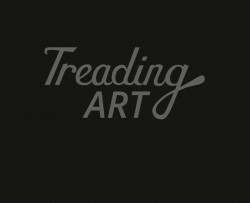 From artist studio tours to in-depth interviews, TreadingArt.com offers a wide range of Pittsburgh-centric content focused on the arts and culture. The website is a resource for Western PA residents to learn about and engage with their creative communities. This includes everything from music, food and brews to visual art and literature. Features such as photography posts, local guides or exhibition reviews invite residents to participate in the redevelopment of their city or stay informed of the excitement directly from the website. The Weekend Treadings is another unique feature to Treading Art. Every week we produce a curated list of events that highlights distinct experiences happening around town from Thursday through Sunday. This is available every Thursday and can be viewed on the website or delivered to your inbox. The Weekend Treadings newsletter also gives readers an opportunity to receive exclusive invitations to Treading Art produced events. Treading Art is run by Christine Smith and Melissa LuVisi, both of whom are transplants from Northern California. We were drawn to Pittsburgh by its thriving arts community, large number of working artists and the welcoming environment for entrepreneurs. Immediately upon moving here we felt a connection with the city’s sense of pride and collaborative nature. To become more involved please submit events to info@treadingart.com (at least a week before their scheduled date), like us on Facebook and follow us on Twitter, Instagram (lots of PGH pride promised to be here) or Tumblr.